Fitting Room snapshots. So good! Triple points means…time for a trip to Nordstrom haha. 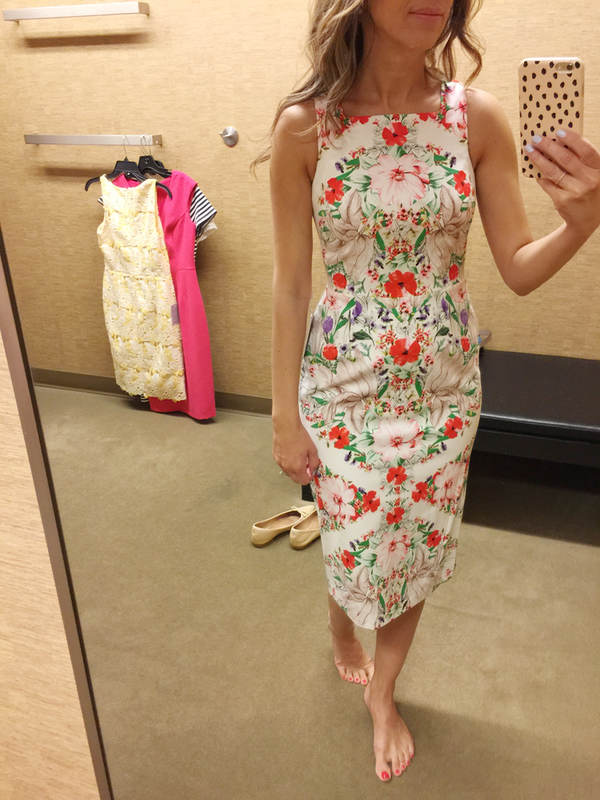 Haven’t been to Nordstrom in a while (last Nordy fitting room snaps here, and I noticed a lot of the pieces are still available). 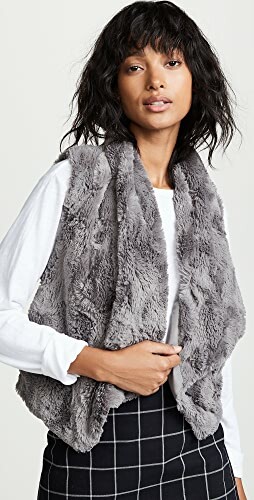 Nothing came home with me for a couple of reasons 1) I have to narrow it down to what I LOVE vs just like 2) nearest Nordstrom is an hour away so if I change my mind about anything driving an hour each way for a return is just silly. That’s where Free shipping and free returns come in handy. (actually just the Topshop bag you’ll see below was purchased but my sister liked it so I got it for her). My jeans are Mother Stunner (definitely my favorite brand of designer jeans. Pricey but worth it). 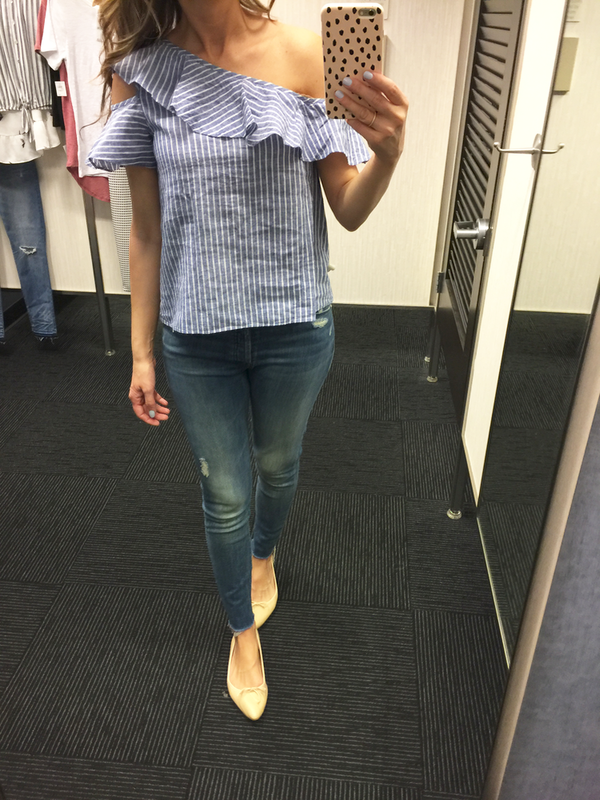 Off shoulder striped top in Small (I think xs would have been a better fit). I told myself the other day, after realizing how many striped tees I have, that I won’t be buying any more (it was after I ordered this one). And I did leave this off the shoulder one behind. 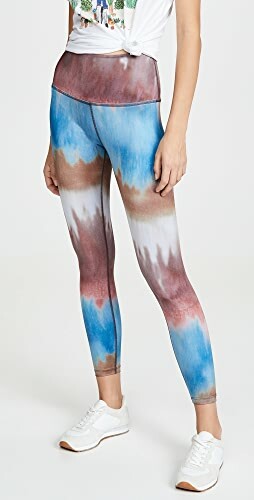 Except…I really like it and I think I “need” it (it would look SO cute with skirts, especially midi/flare skirts). I almost didn’t grab this tee but I’m glad I did. It is SO cute on. This one is pretty similar and just as cute. Definitely requires a cami underneath. Comes in ‘Pink Taffy’ too. 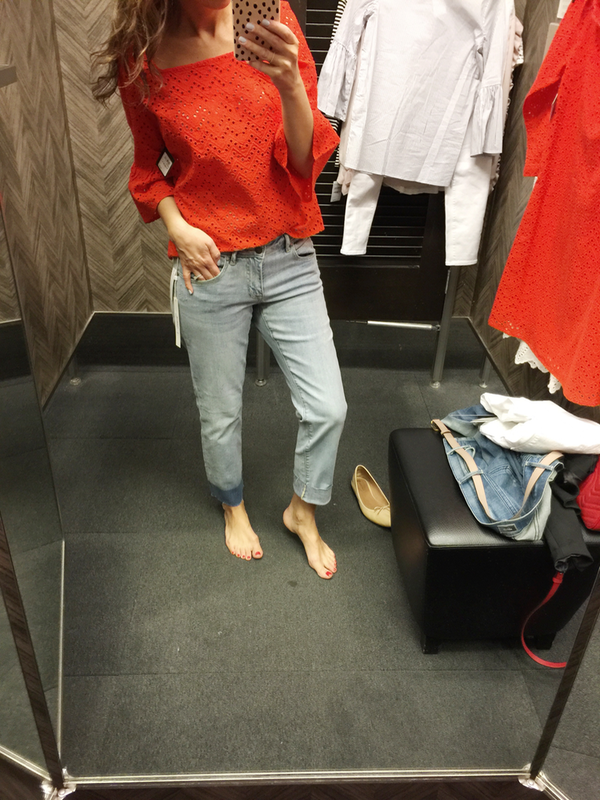 Jeans – really liked these. TTS Online it just shows some distressing on the left leg (maybe someone ripped the hole while trying them on). Cute either way. Cute and light. Not sure how I feel about the sizing. It seemed a tad big, but not huge. You might be able to size down in this one. While this is a cute top it’s way to revealing for my personal taste. I like the idea behind the but perhaps not so low. On the thinner side. Too low cut for me (I had to pull it back a little). Way to thin, as you can see lol (if you don’t mind the fabric, you’ll like it). I thought about wearing a cute bralette underneath but decided to pass it up. Here is a short sleeve option that doesn’t seem as thin. 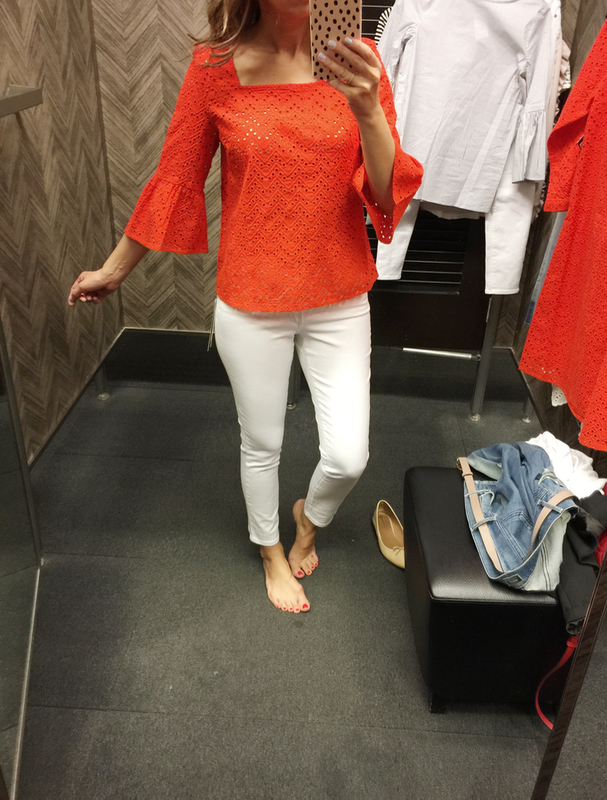 Loved this top (even cuter in person). 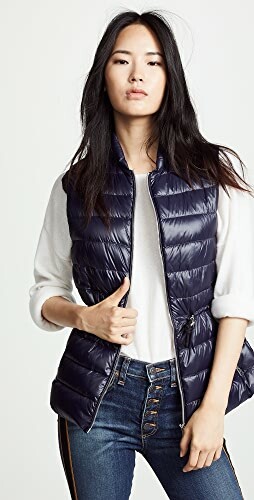 It’s super light, it would work for hot summer days too. I just felt the price was a little high for what it is. 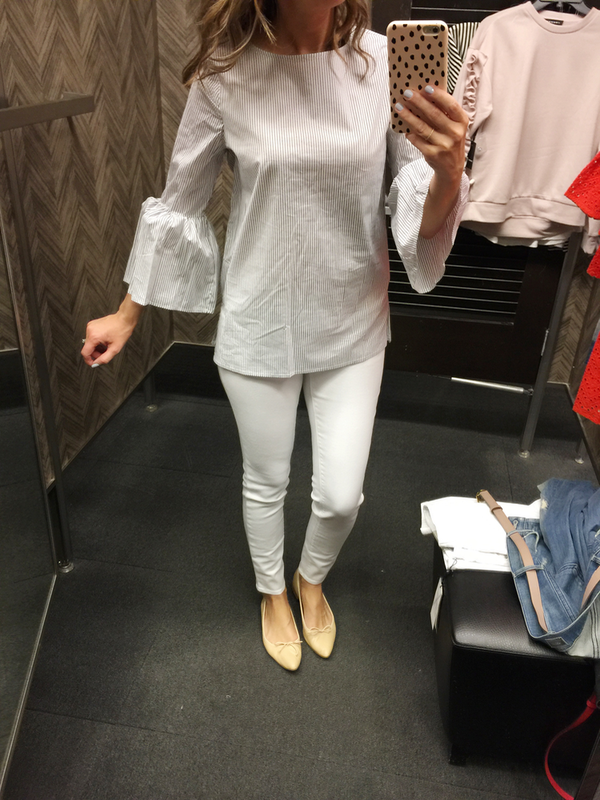 LOVED this top (perfect for high-waisted jeans or high-waisted skirts). 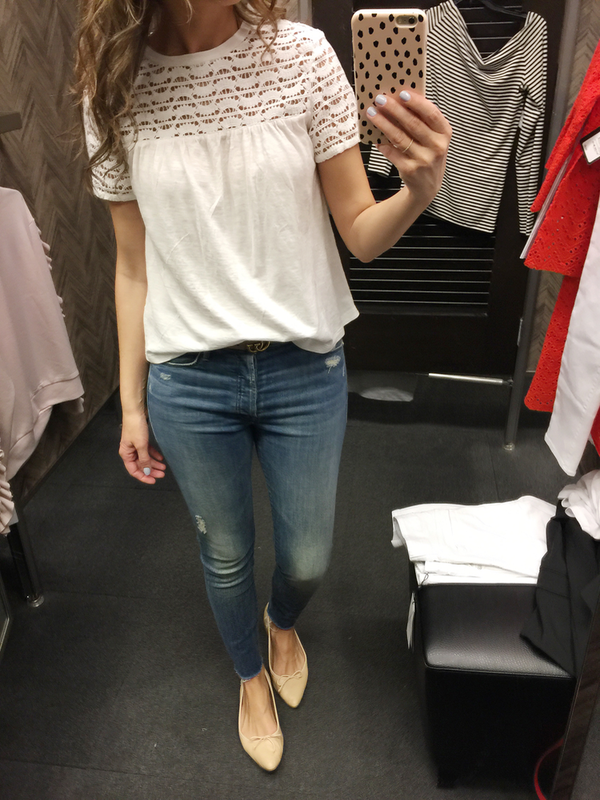 High-waisted jeans tts – great fit. I haven’t had much success with Madewell jeans in the past, but these fit nicely. Adorable top. It does require a cami underneath. 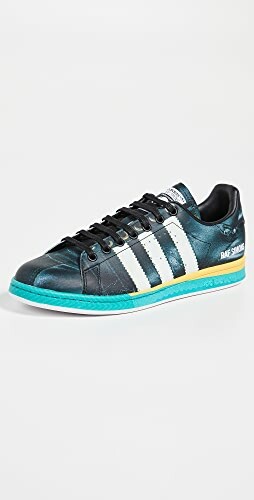 Comes in black and navy as well. 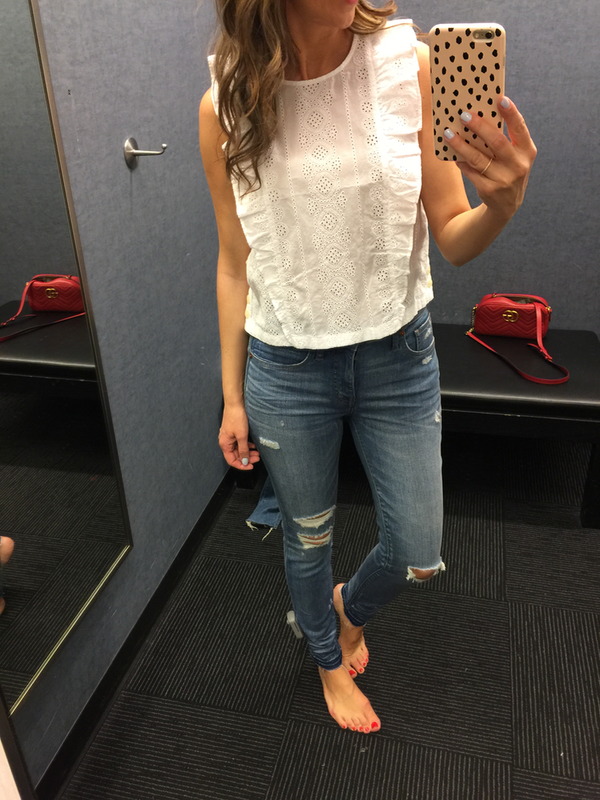 Jeans – I liked the cut. Not as thin as most jeans these days. 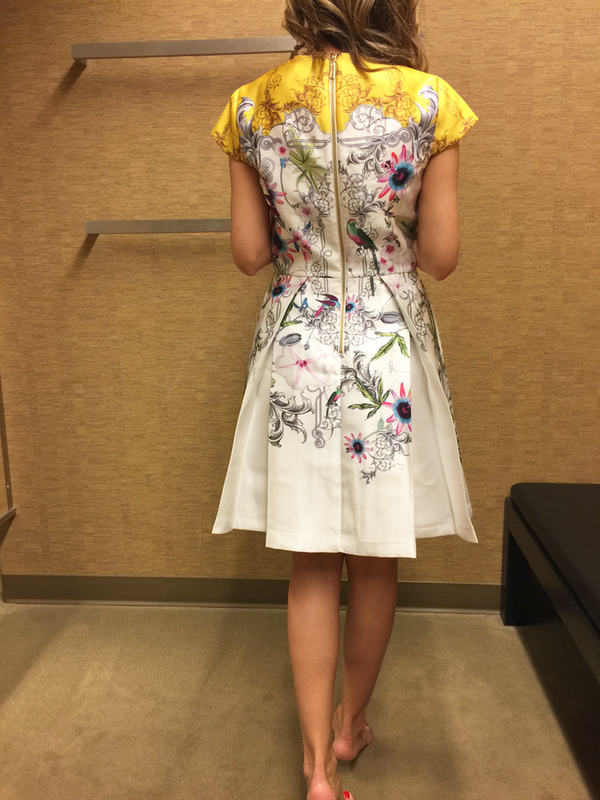 Dresses – I loved every single dress I tried on. This doesn’t happen very often. Each one is pretty in its own way, one could be longer, one tad low cut….but overall they’re beautiful. Loved the color, style and length of this dress. It was a tad low cut and I’d hate to have wear something underneath it. I did think about permanently adding a piece of lace over the low V part, just because I love it that much. But since I loved two more dress, a lot, I couldn’t decide at the end which one to get (still can’t decide but can’t buy all 3…because that’s a bit much). Again loved the length and style. It was just too tight on the tush..more than I personally like. The “problem” wouldn’t be perhaps so obvious if the fabric was a bit thicker. 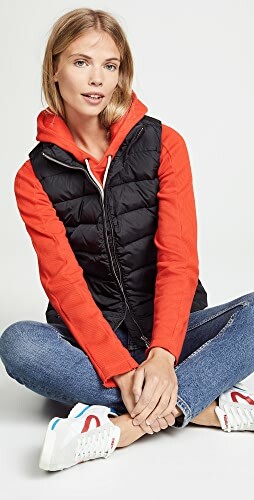 Definitely liked this better on than on the hanger. 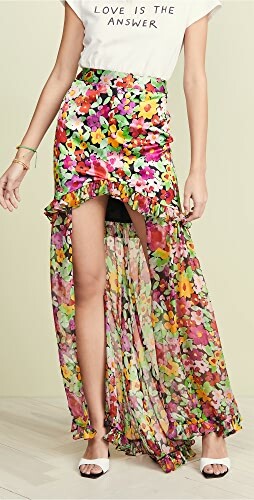 The style is amazing (I think I’m just so happy to find beautiful dresses that are not short). Classic, timeless and very chanel-eqsue. All they had in store was Petite but I had to try it on. I couldn’t zip up size 0 so size 2 would be a good fit. I’m most likely going to get this dress in Regular and hope it’s long enough. This is a great dress if you want to incorporate a little yellow in your life. Cute but not overly impressed. Loved the lace sleeves though! Cute but pricey. 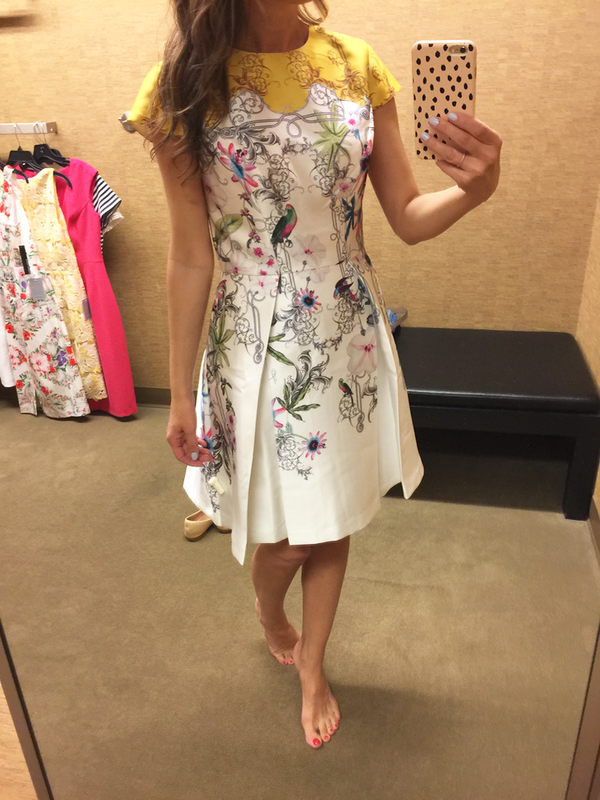 Ted Baker has beautiful dresses period! 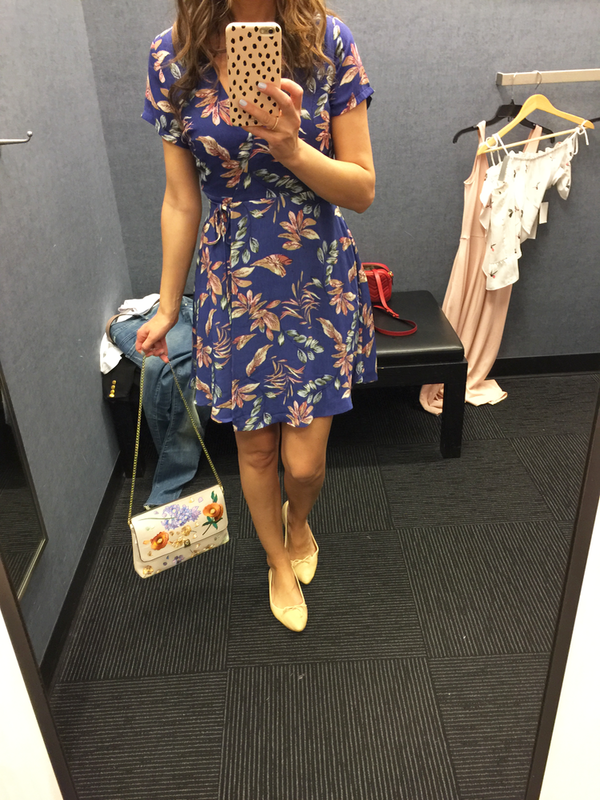 Off Shoulder Dress – Wasn’t crazy about this dress on me…mainly the cut. 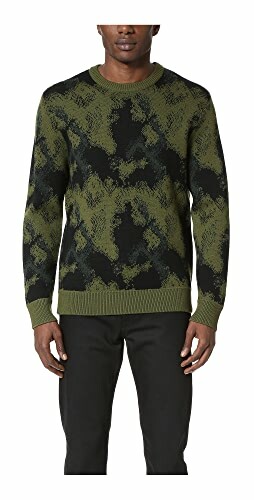 Would have loved if they had this one in store. So pretty! 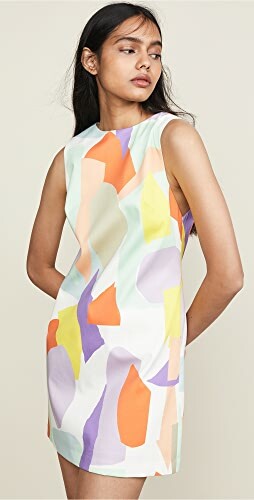 And I was going to say how I need this dress…util I realized I misread the price lol. On the first glance I thought it was $69… That last number, 5, changed my opinion quickly. Yikes! 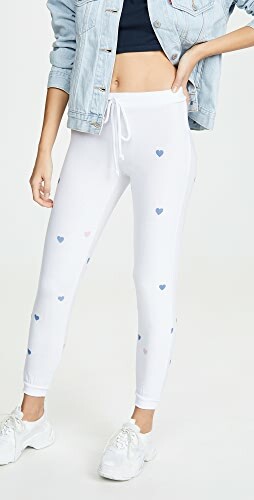 Cute and comfortable. To be this is a perfect summer vacation dress. This dress was so cute but this color, or white, would require something underneath to smooth everything over…if you know what I mean 😉 Or maybe I should have sized up. Adorable but I wish it was a tad longer. Also it was way too low cut for me (hence the phone in front of the girls). The price is great and it comes in more colors. Bag is Topshop but this color is currently not available. I recently got this one and love it! I’d love to know which dress you like the best!?! Also, I have some Old Navy fitting room snapshots. Let me know if you want to see those as well. You look amazing in everything! I hope you got that pink, ruffle, one shoulder top. That is the cutest thing ever! I love everything! Great choices! 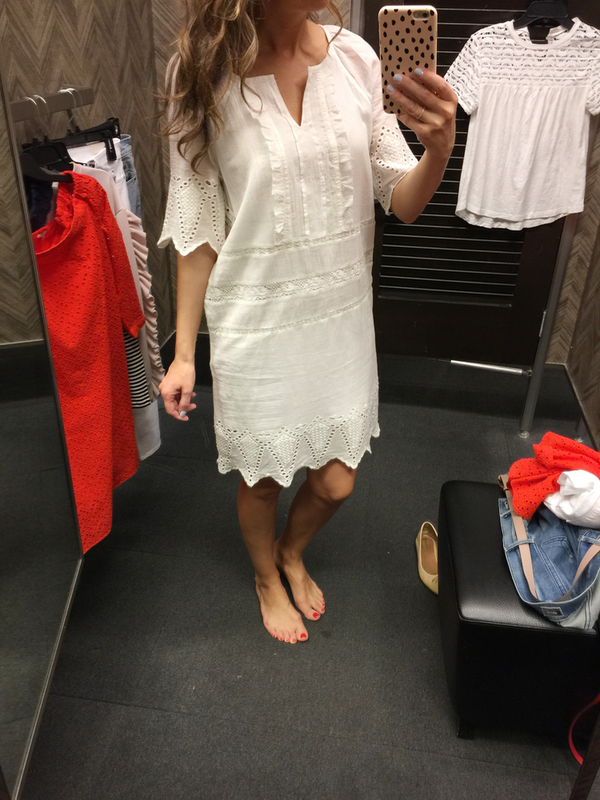 Shop White Lace Dresses, White Blouses And Tops, Pink Sneakers, Red Flats and more. Get this widget.